Audio Visual Associates, founded in 1988, is a “Full Service” audio visual provider, specializing in the design, sale, service, installation, and rental of equipment typically found in the corporate and hotel environment. Fake Plastic Websites was commissioned to recently overhaul of their website with a design information architecture (IA) that more appropriately displayed their professionalism and, most importantly, showcased their services and reputation for potential and current clients alike. It was a truly collaborative effort that ended with, in our opinion, a beautiful site with enough flair to engage users and an IA that gets them where they need to be intuitively. 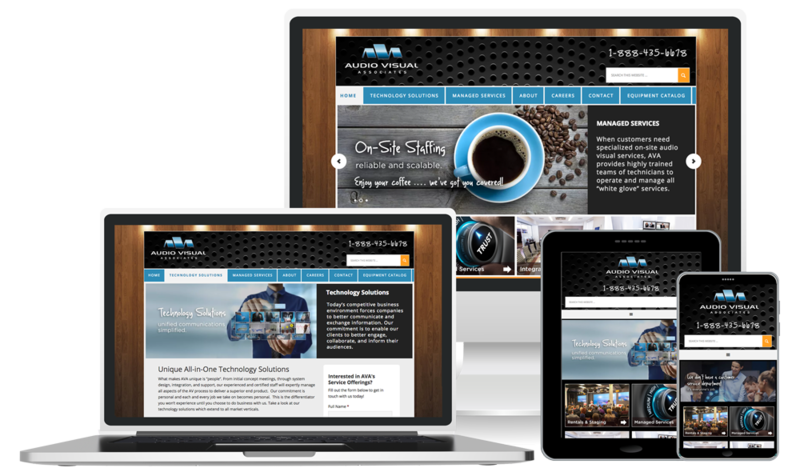 Visit the recently launched site at AVAONLINE.COM.